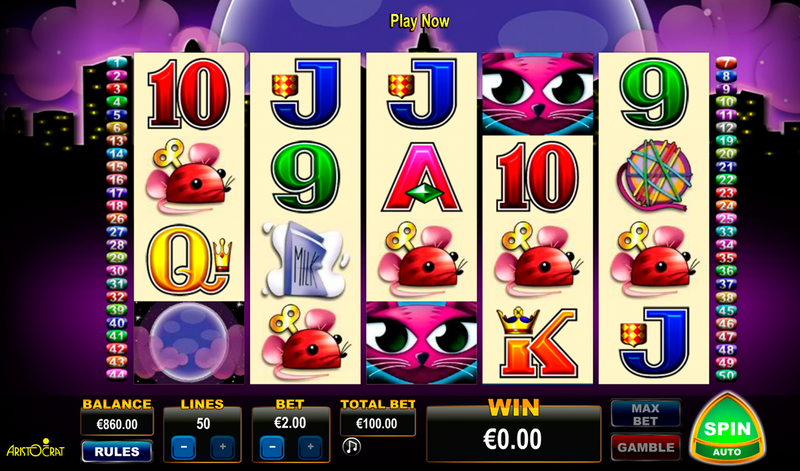 Animal related theme is also popular among various free online slots at Slots Pill. 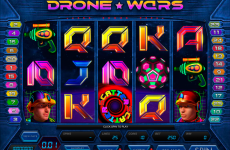 Aristocrat games developing company which is one of the leading gaming suppliers in the casino industry also has in its arsenal the video games devoted to cute animals. One of these models is known as Miss Kitty slot game. 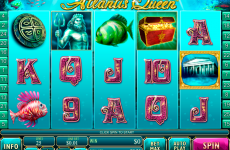 This 5-reeled video slot includes 50 bet lines and various powerful special features. Within the game play you can use the Sticky Wild feature, the Free Games feature, the Wild and the Scatter symbols. 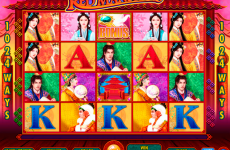 In contrast with many other free casino slots, this slot model cannot offer you a high jackpot reward. The biggest payout is limited with 100 coins and the theoretical return to the player is equal to 94.94%. The gaming process begins with choosing the coin denomination and with selecting the number of the available lines. The minimal wager is equal to $1 for a spin and the biggest bet is limited with $200 per spin. 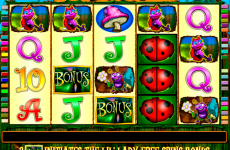 Similarly to the typical Aristocrat free slots, Miss Kitty allows creating winning combinations from several consecutive symbols which drop out on the current line starting from the 1st left reel. 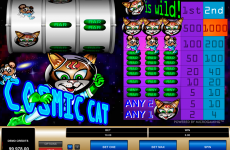 Aristocrat casino software developer equipped this gaming slot with the Wild symbol in the form of the nice kitty. This token drops out only on the reels 2, 3 and 4 and replaces all standard tokens. 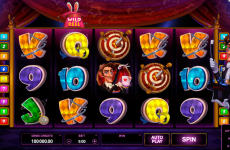 Similarly to the latest video slots, this slot model also owns the Scatter icon in the shape of the full moon. 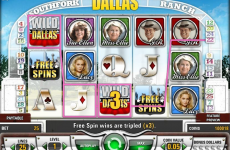 This icon lands on the reels 1, 2 and 3 only and the combination of 3 moons launch the Free Games round. 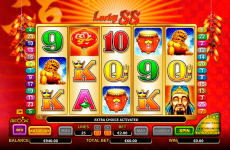 You will get 10 free games with the possibility to prolong this quantity with 5 more spins. The sticky Wild which appears within this round will stand still in its place during all spins and it will replace the icons helping to get the additional wins. 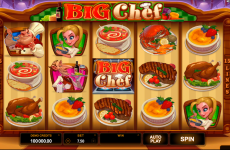 This online casino slot isn’t the best choice in the terms of the payments but you may choose it for practicing your gambling skills. The virtual machine is available with no download requirements in various online casinos.